How do we activate one of Boston’s busiest street corners while preserving the integrity of one of America’s most preeminent landmarks? 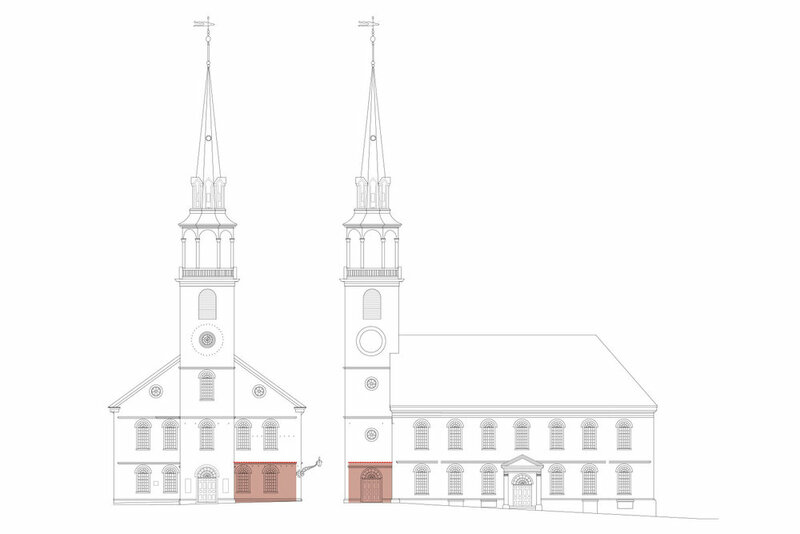 Since the 1773 mass protest meetings that led to the Boston Tea Party, Old South Meeting House has served as a gathering place for discussion and celebration and a haven for free speech. The museum has rented the street corner to various market stands over the years as a source of income. 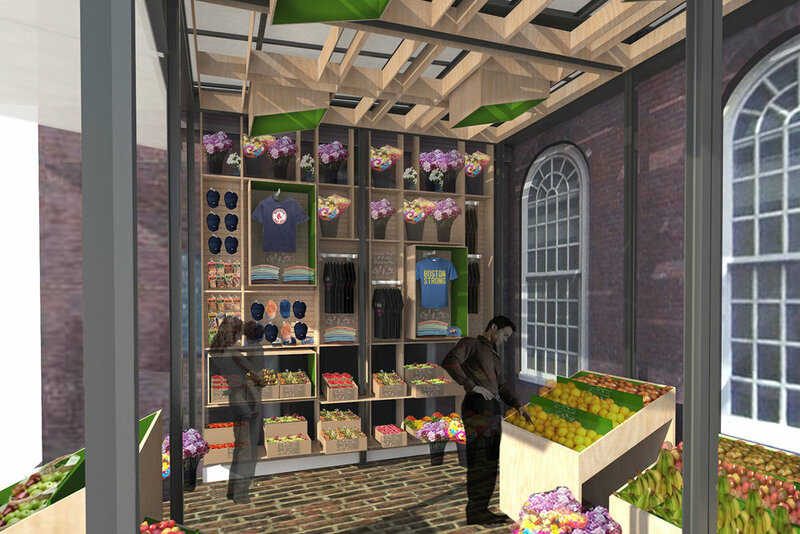 The new market enclosure will bring a new sense of transparency to the corner of this historic building and better activate this pedestrian center in the downtown crossing district. 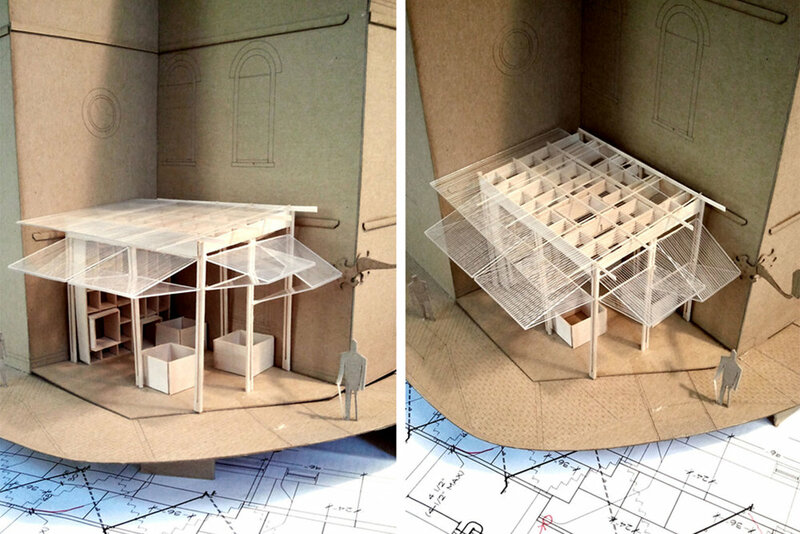 The structure is designed to be free standing with no attachment to the historic building. For the market vendor it will provide a new security enclosure and better visibility and interior organization.